A joist is a horizontal structural board that is used to span an open space. 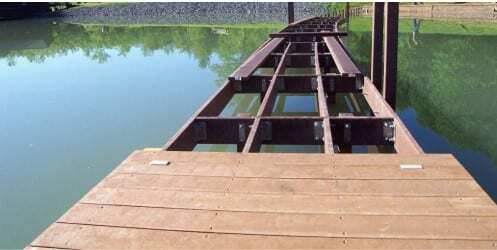 In docking and boardwalk substructure, joists are installed between beams to help transfer load-bearing weight to other members and to support the top boards. Stringers are beams that run lengthwise and also help transfer weight for more even distribution and are typically installed on top of the joists. Oftentimes, structural support beams like joists and stringers are exposed to high moisture. 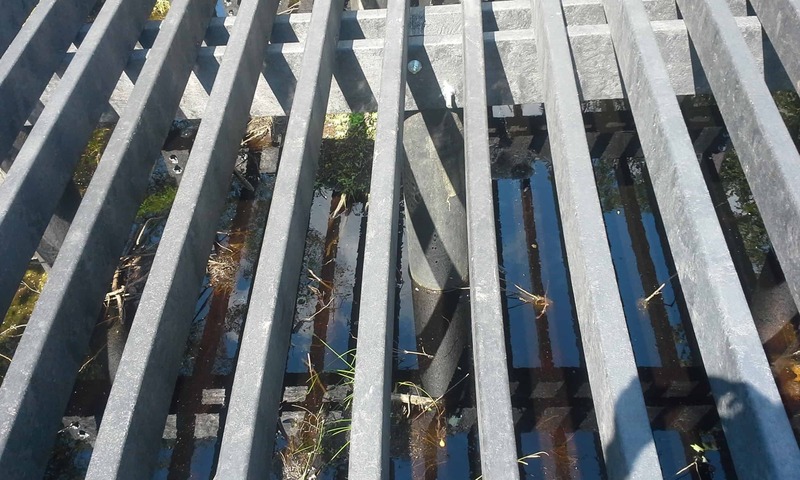 Bridges and docks are built over and in water and due to changing tides, sometimes these beams can be completely submerged. It’s important that joist and stringer beams can withstand consistent moisture and can also maintain structural integrity over time. Since these beams support heavy loads, it’s also important for the material to have the strength and load-bearing technical properties. Traditional building materials like wood and metal provide structural integrity but can fall short in a wet environment. Constant exposure to moisture can rot and break down traditional wood, and metal will rust and corrode, which can leach harmful chemicals into the water, endangering the environment and sea life. Chemically-treated wood also will leach chemicals, so it’s best to use a material that isn’t treated at all. 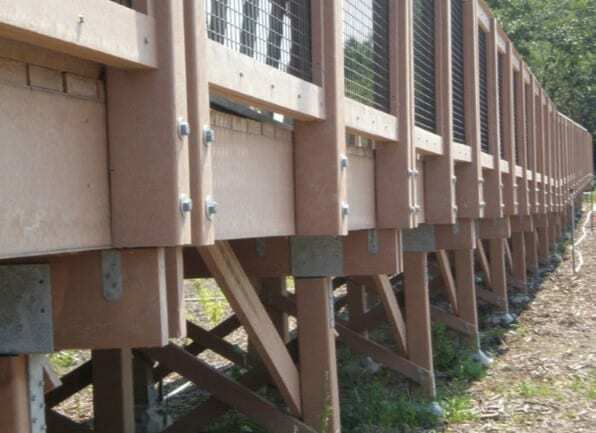 Structural composite plastic lumber is engineered to overcome the most severe weather environments. Plastic lumber can be manufactured with added fiberglass stand and polymer rebar to increase rigidity. This creates a durable product that is best-suited for structural applications, like substructure components, where a wider span and dimensional stability are required. Plastic lumber is non-leaching and due to the durability and longevity of this material, it does not need to be replaced as often as traditional building materials. Which Bedford Technology Products for the Job? FiberForce® by Bedford Technology is a structural-grade building material that utilizes fiberglass strand for increased rigidity and strength characteristics. It is manufactured in many different profiles and lengths and cuts, drills and secures like traditional wood. BarForce® by Bedford Technology is manufactured with fiberglass polymer rebar and is best-suited for projects like joist and stringer beams where structural integrity is a high priority. 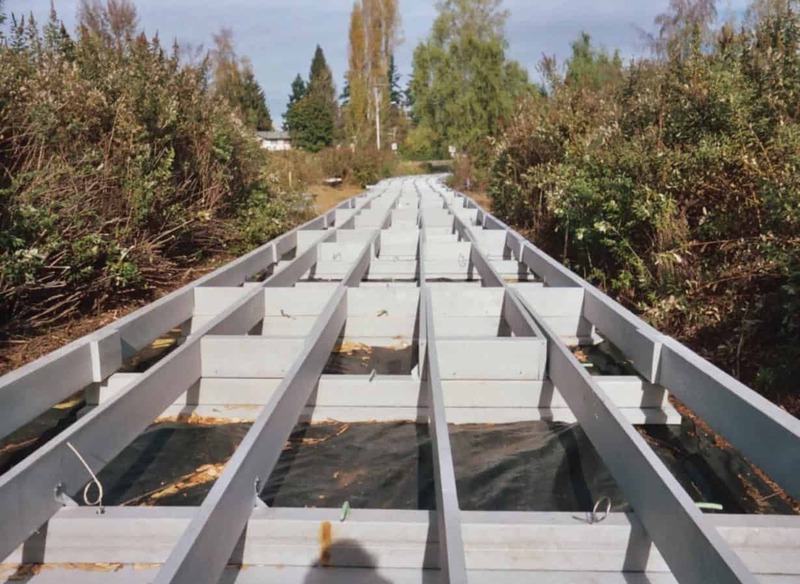 Use BarForce® for joist and stringer beams in and around water to provide a durable and long-lasting substructure system that is impervious to marine borers and crustaceans. 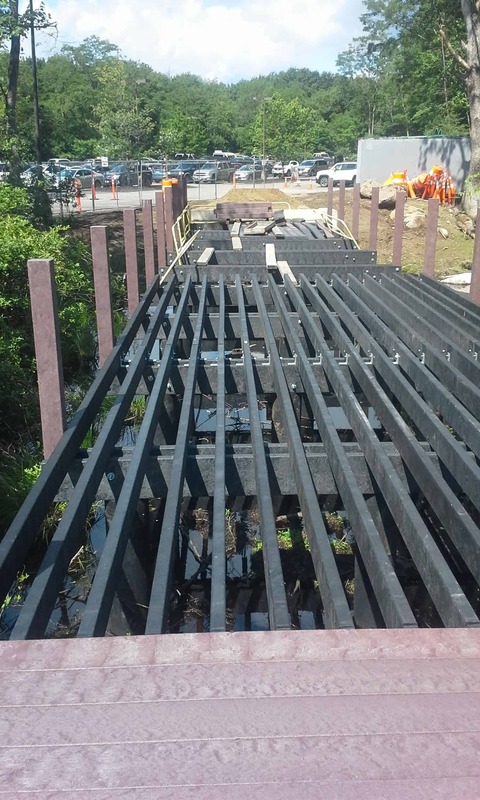 SeaPile® and SeaTimber® by Bedford Technology are fortified with fiber-reinforced polymer rebar, making it ideal for heavy-duty applications in the marine industry like joist and stringer beams. Engineered using our Multi-X Technology, these products can withstand heavy impacts by absorption of energy through recoverable deflection and do not leach chemicals. Support Your Top Boards with Bedford Technology! For more information about how Bedford Technology products can work for your joist and stringer projects, contact us today! We are here to answer any and all questions you may have!